Your custodian for your week will be calling the group organizer one week in advance for any other information required and to make sure you have all the information you need prior to arrival. Anyone participating on a trip with MHR needs to pre-read the waiver. MHR will supply you with a printed version of this waiver at a pre-arranged meeting site on the day of your flight ; prior to you flying into the lodge., It will then need to be signed prior to you flying into the lodge. Extended medical and cancellation insurance is available and recommended, call your travel agent or Lifestyle Financial for more information. Lifestyle Financial is a small firm located in the heart of the Okanagan Valley who help insure vacations across the world, or right here in Canada. Kitchen: a four burner propane stove top and oven, ample coolers for storing frozen goods, a simple fridge for non-frozen goods, all pots, pans, baking items, and utensils, coffee filters, Tea/Dish Towels . We also supply toilet paper and biodegradable soap for dishes and general hygiene. Your more than welcome to bring your Musical Instruments, the more the merrier. No bagpipes, or tubas!, we don’t want to scare the wildlife! There is also a lodge guitar, bring extra strings. Internet connection only at Custodian hut; only used for weather reports, CAA Avalanche bulletins, and emergencies. In case of an emergency at home , your family can reach the Custodian at … Valhallahutkeeper@hotmail.com . A light portable cascade rescue toboggan, spine board, leg splints, oxygen, and a 50-meter rope. There is a rescue plan with the important Phone #. You and your group are responsible for any other first aid gear needed. We recommend that you all carry a small first aid kit, while you are skiing. It is mandatory that you have an avalanche transceiver with fresh batteries installed, a probe and a shovel. There is power to recharge batteries in the lodge. Bring your own charger. We have satellite radio communication at the guide / custodian cabin. If you are up at the Lodge and there is an emergency at home and you need to be contacted have your family contact the custodian at Valhallahutkeeper@hotmail.com and our office at 250-229-4661. The email is generally checked twice daily. If on your exchange day you can not fly out, you can contact your family from via sat phone ,or email once it is clear you cannot fly out. There is a $2.00 /minute charge for Sat Phone. Email is free. Bring your phone for music, we have a bluethooth Bose speaker. hut shoes/slippers, You are welcome to bring in snow boots (we have some old boots if you forget to bring yours) and a towel/wash cloth for the sauna. If you like, bring some essential oils for sauna. We have power for Charging batteries, phones , etc. Bring your own connectors. 3 are available to guests, however if you lose the radio you are responsible for replacement cost. We supply rechargeable power packs for these 3 radios. Each participant on one of our backcountry ski trips must bring rescue gear : a small personal UHF Radio, avalanche beacon – fresh batteries for both – a collapsible shovel and a probe, (we recommend collapsible probes over ski pole probes). A compass,Altimeter, and a GPS are useful tools to bring. We highly recommend groups bring at least one portable Sat phone ,and/or a “SPOT” device.Very useful in an emergency out in the field. A: You can find great skiing most of the winter months. Feb and March are most POPULAR with our guests , and first weeks to be booked. December: the days are short and snowpack is thinnest, and thus limits where you can ski and how you can travel. Alpine and ridge lines usually have the least amount of snow, with lots of “Early season obstacles”. January: you can find some of the coldest Pow. By mid April you can get 24 types of wx in 24hrs. Could be great spring skiing, OR ??? The snowpack is the deepest ,and you could have cold temps and big snowfalls one day , the next day the temps can jump into the high teens. Gotta be keen , up at the break of dawn home by noon. head for the north alpine slopes, no skiing below 2100m elev. Most locals are done touring in our region by mid April. A: It’s small (850 sq feet) , but “comfy” sleeps a dozen, but living space reflects 8-10 as more realistic number .If your more than 10 you won’t find much privacy. Two floors with sleeping upstairs. When the lodge was built in the mid 80’s it was luxury. Most folks at that time were winter camping,staying in old trappers/miners cabin( rat infested), etc. Now a days most modern lodges are much larger, with many more amenities. Valhalla Mountain Lodge is simple,and tight, but it works. All the basic comforts you need. A: Some of the best ski terrain around ! We were lucky , by starting back in the mid 80’s we had the “pick of the crop” when it comes to locating some of the best ski terrain. We have it all from close by the lodge short descents to long alpine descents, great touring ,and endless steeps chutes . Valhalla Mountain Lodge was one of the first backcountry lodges in the province (32yrs strong). We were well established long before the “landgrab” by , many backcountry lodge, cat, and heli skiing ( large and small) operators, which rushed to get their “piece of the pie”, picking over what was left out there. British Columbia now has the highest ratio of non and mechanized ski operations in the world . Valhalla lodge has a large tenure , so we’re not crowded in by competition. No having to share terrain with other operators. As far as you can travel, it’s yours alone to explore! A: Certification. What organization? 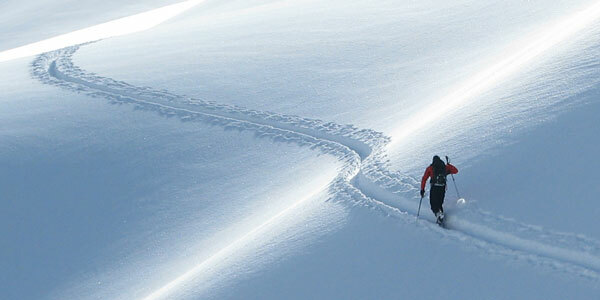 ACMG (association of Canadian mountain guides), is a reputable one.